It's not easy to get readers to understand and act on your communications about technical topics. This is especially true if you're an expert. Sure, you know your stuff. However, you also suffer from the "curse of knowledge." You know so much, it's hard to write for the needs of your audience. Luckily, there are steps you can take to make your documents compelling, clear, and concise. These three Cs will drive up your readership. When you're asked to write something, find out as much as you can about the people who will read it so you can tailor your piece to them. This will make it compelling, the first of the three Cs. Why do they need to learn about this topic? In other words, what problem does it solve for them? For example, if you're writing about fund accounting, you'll write differently depending on whether your readers need to learn about fund accounting so they can program software or to ensure it's done in compliance with SEC regulations or some other goal. Once you identify their problem, you can focus on that in your introduction and highlight that throughout your piece to gain your readers' interest. How knowledgeable are they about your subject matter? The answer will tell you how much explanation to include in your text. What are the three main points I need to make in this piece? The answer to this question will help you to prioritize, even if you're writing something long that demands more main points. Everybody's busy, but they're more likely to stick with your document if you quickly identify how your readers will benefit from your document. Once you've identified your audience in Step 1, you can write a compelling reason for your readers to consume your document. Then, follow that with a high-level overview of your points. I suggest you list the changes in order of importance or the order in which the reader needs to deal with them. Creating a road map like this at the top of your document will help you write clearly. Being clear is the second of the three Cs. It will also help your readers to navigate your document, finding the information that's relevant to them. Once you've figured out your "big picture" structure, use headings and subheadings to communicate the main message of each section. People skim more than they read, so you'll boost their grasp of your topic with informative headings. If technical language is essential, define it briefly, at least upon initial use. For example, replace "20 bps" with "20 basis points (0.20%)" or even simply "0.2%," depending on the context. Consider providing a clickable link to a glossary, if your document lives online. Sometimes you'll need to write about a topic for audiences at different levels of expertise. In an ideal world, you'd write one document for beginners and another for sophisticates. But there's rarely enough time for that. In a printed document, you can use sidebars that are set off from the main body of your document to satisfy diverse needs. For example, for newbies, you might explain the ABCs of foreign-currency transactions in a sidebar. For sophisticates or readers with a very specific need, you can delve into an obscure technique that's relevant to only a small, yet essential part of your readership. People absorb information in small blocks. Break long sentences and paragraphs into shorter pieces. Use numbered lists and bullet points where appropriate. Sometimes the trite expression, "A picture is worth 1,000 words," is true. People may absorb information better in visual forms. 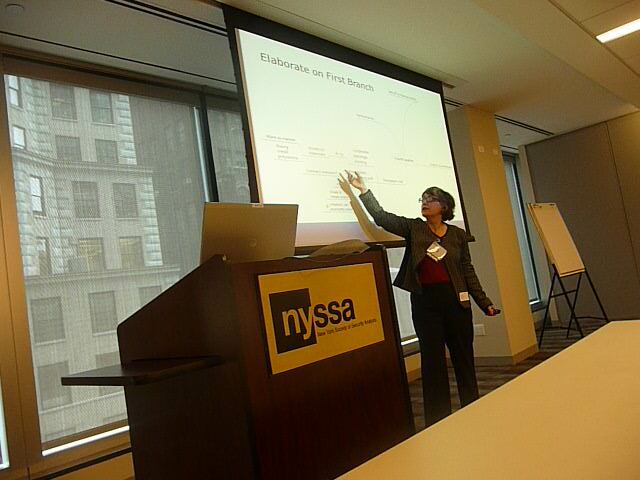 When you use charts, graphs, or tables, place your explanatory text close by in your document. With these methods, you'll take big strides toward being concise, the third of the three Cs. As your mastery of the three Cs improves, your technical communications will achieve your goals more quickly and effectively. If you liked this article, you may also enjoy "Simple language helps your readers, even when they understand technical terms." Available in PDF format for only $9.99. Buy it now! Financial Blogging: How to Write Powerful Posts That Attract Clients is available for purchase as a PDF ($39) or a paperback ($49). The paperback is also available on Amazon.com. Note: The PDF and paperback are sold on different websites. You must click the correct link to obtain your preferred format. What one advisor says on Amazon: "As a financial advisor I wanted to start blogging but I didn't know how. I invested the money in Susan's book. It's helped me tremendously! The book is well organized starting with a brainstorming exercise which helped me plan upcoming blog posts while making sure these posts were focused on my niche. She lays out some amazing tools to organize your blog post. I use her blog preparation worksheets for every blog I write. They are great for focusing your thoughts and making sure your posts are to the point. I never did well in English in school so her blog review checklist has really helped me. Finally, I've used her blog promotion techniques as well. 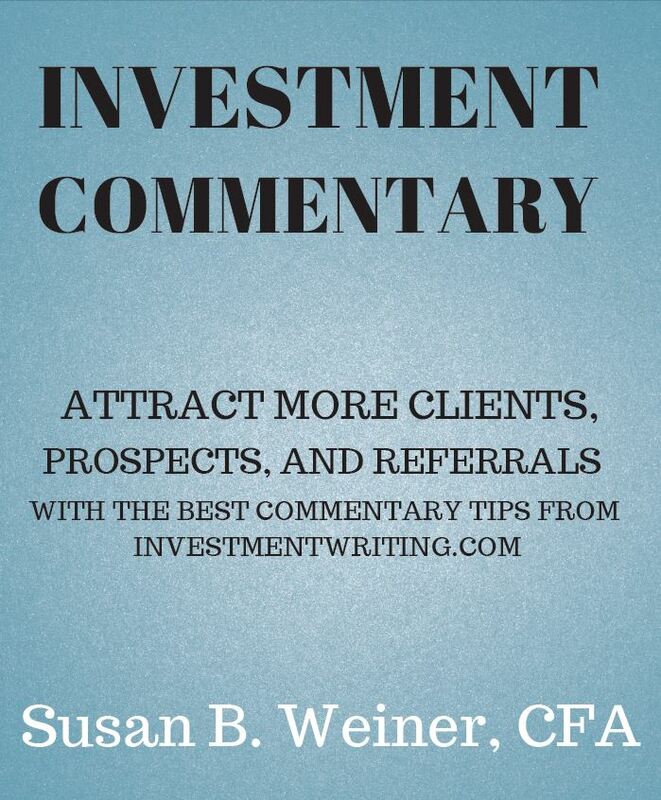 Overall, this book is a great book for advisors who are just getting started blogging as well as seasoned bloggers. It's been totally worth the money!"